Previous article: Interview with Deb Chitwood by Lisa Nolan at What Is a Mother to Do? 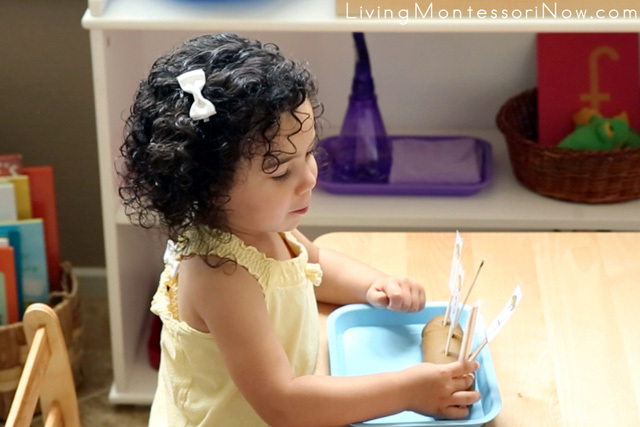 One of my favorite spring songs for toddlers and preschoolers is “5 Green and Speckled Frogs.” My 2-year-old granddaughter, Zoey, loves singing, so I wanted to have some special props on Montessori-inspired trays available for her. 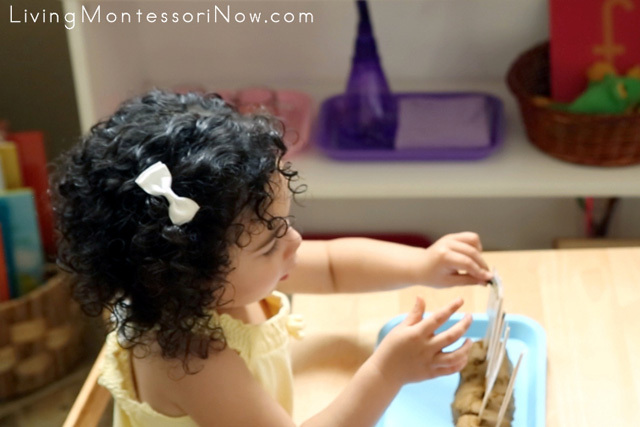 I love the idea of working with hands-on materials with the “5 Green and Speckled Frogs” song. 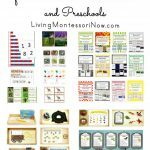 I’ve put together three different options for home or classroom. My daughter-in-law, Chea, and I have both sung to Zoey since she was a baby. We make up lots of songs throughout the day. It’s a bit like Zoey has grown up in a musical. Now she loves to make up songs, too. She’s the one who spontaneously came up with the final verse of the song in this video! TOO CUTE! 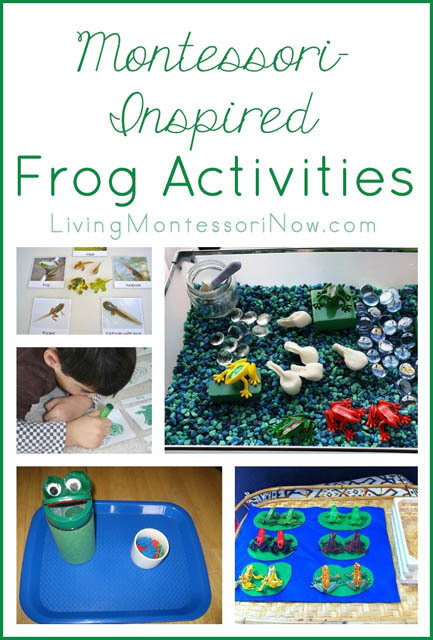 I had a post with a “5 Green and Speckled Frogs” tray in my “Free Frog Printables and Montessori-Inspired Frog Activities” post. 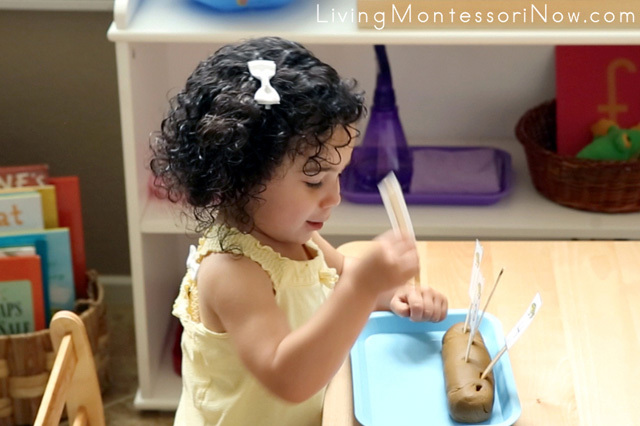 Last month, I had Zoey use the activity first as a number matching activity. 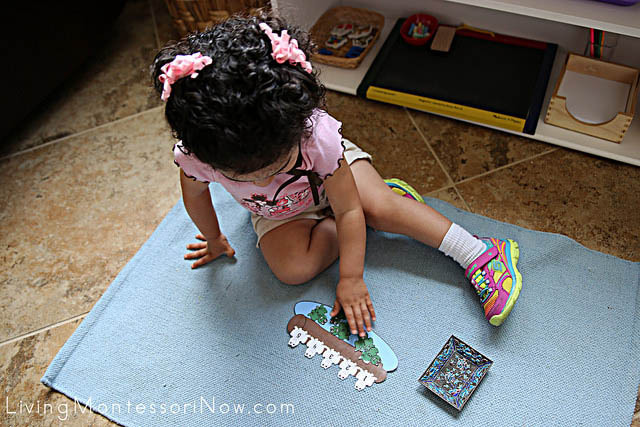 She matched up each of the green frogs to a dotted frog. Then, as we sang the song she moved each green frog to the “pool.” Zoey had a lot of fun with this. 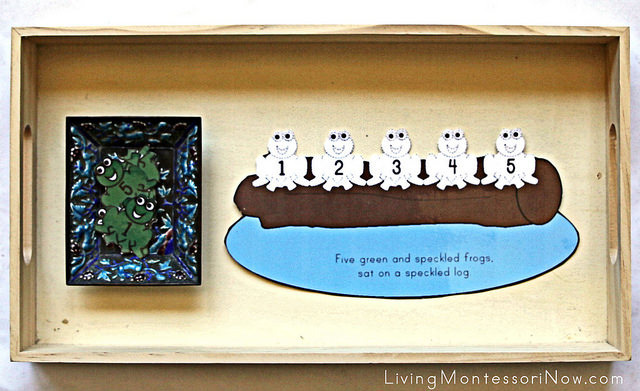 Here’s another cute option for a “5 Green and Speckled Frogs” tray. 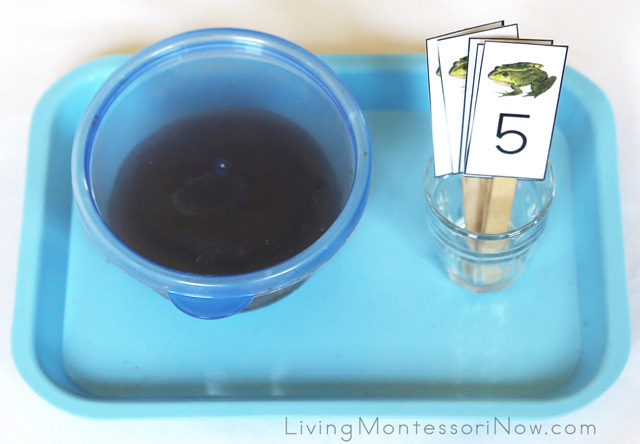 This tray uses real frog images with numbers for a Montessori-inspired activity focusing on both quantity and symbol. 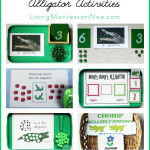 You’ll find many more frog printables and activities in my Montessori-inspired frog activities roundup post! 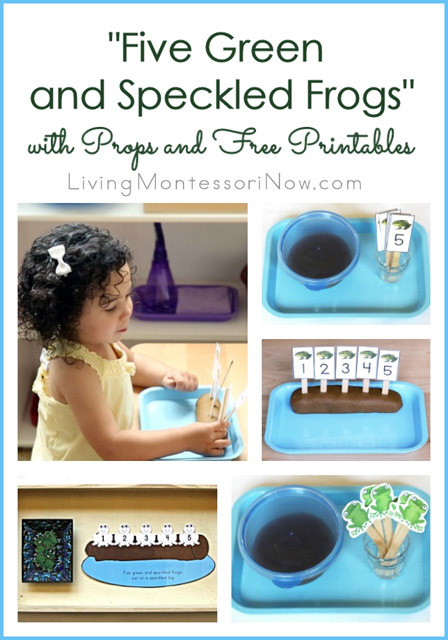 Do you have a favorite prop for “5 Green and Speckled Frogs”? 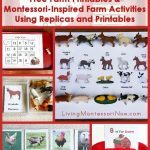 There’s a new subscriber freebie! If you sign up, you’ll receive the password for a new subscriber freebie each month (along with freebies you’ll get immediately)! 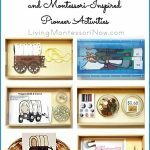 There’s a new free Montessori Crash Course webinar today at 6pm PST! You can sign up for today’s webinar here. Or click on the image if you’ll need to watch it at another time. 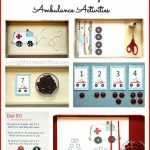 Previous Post: « Interview with Deb Chitwood by Lisa Nolan at What Is a Mother to Do? 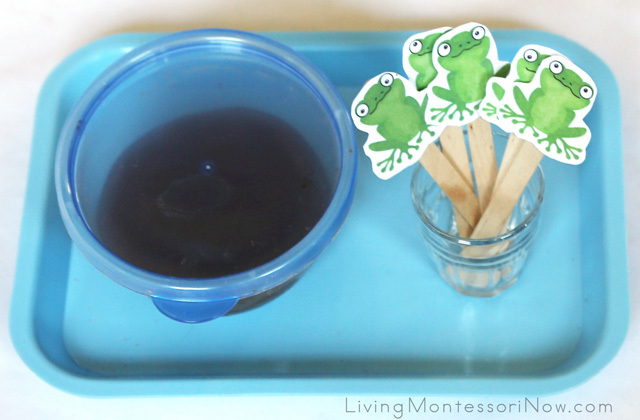 Thanks for sharing this great frog activity – we’ll be trying it out soon!